We are a custom home builder with a reputation of excellence in quality, service and design. We build superior quality custom homes with honesty and integrity. We believe that a home should be the reflection of the owner's needs, not the builders. We have extensive experience remodeling houses into a new home that will fit your lifestyle. We love the opportunity to customize an existing space. We don't just build traditional houses. If you love the idea of a rustic barndominium, we can help you custom design to your specifications. We are proud to have a long list of happy homeowners that have had an exceptional experience building with Willmark. If you would like a list of our references, give us a call or email us and we are more than happy to provide one. If you would like to contact any of the homeowners below to discuss their experience with us in more detail, please send us an email and we will send you our reference list. "When the time came for us to go ahead with our building process, we asked everyone we knew who their recommendations for building a custom home would be, and Willmark was at the top of the list. We sat down with Brandt and John and instantly felt like this was where we belonged. After that meeting, we felt comfortable and confident that the home we had dreamed about would be executed flawlessly and we haven’t been disappointed. They worked hard to keep us right on budget and we couldn’t have asked for a better guy than Clay to ensure everything was perfect right down to the move in day! Any issues we had, they handled it and made the whole process not as daunting as one would think it would be. Everyone on their team has been a joy to work with and made the past year an extremely exciting time for our family. We are happy to finally be home in our lovely new custom house that turned out to be better than we ever hoped it would be. Thank you Willmark Homes and team for being awesome!" "We were very pleased with Willmark Homes. Working with them truly felt like working with a team. They were able to meet our aggressive project deadline and keep costs within our budget! We are so grateful for the positive attitude, the attention to detail, and their can do spirit. Everyone who comes to our camp home loves our new cabins. Thank you Willmark for all you've done to serve our campers and their families!" "Most people will tell you building a home is a nightmare. Well it is NOT if you use Willmark. They were a pleasure to work with from start to finish. Our project manager was on site everyday. If there was ever anything that we were concerned about, when we talked to him he usually had already addressed the issue, if not it was addressed immediately! If anyone in the Bellville area is thinking about building a home, I would highly recommend Willmark Homes. "Claudia and I both grew up in Cypress and still have a love for Cypress. However we both wanted to get out of the city life but still be close enough to family and friends. We wanted to move to a place the way Cypress was when we moved there as children in 1970. That place is Chappell Hill, Texas. After we purchased our property we needed to find a home builder. So many choices and recommendations. After negotiating for about 6 months with what we thought was the “perfect custom home builder” we decided to go another route. Willmark Homes was that custom home builder. Building any home be it custom or a tract home can be frustrating but Willmark made the process more enjoyable. There project manager Clay is awesome. Clay made himself available for any concerns we may have had and we would discuss different options. We cannot say enough how great Willmark Homes is. I recommend to anyone considering building a custom home, before you make your final decision you must visit Willmark Homes. We did and haven’t looked back." 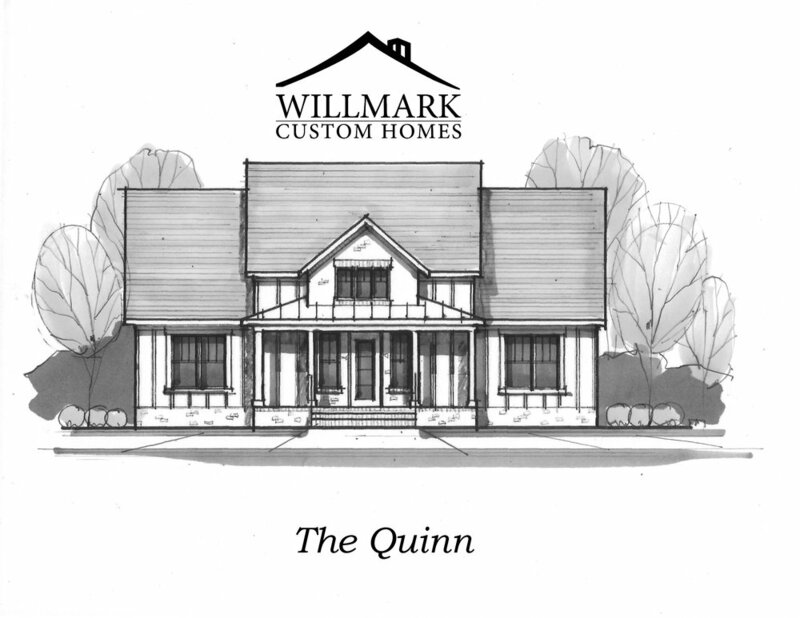 "Willmark custom homes is absolutely 'The Custom home Builder' second to none. From start to the finished product we enjoyed the experience. The materials used in construction, the sub-contractors, and the building superintendent assigned to our home were all a cut above of the competition. Should we decide to build another home in the future, Willmark will certainly be the builder. We can honestly say that after the building process was completed we were satisfied that we chose Willmark. Not only were they our builder they became our friends as well. Great job Willmark--keep up the exceptional good work. "Four years ago, we had a dream. That dream was to get back to our small town roots. Having visited Bellville, TX many times, we fell in love with the community. We decided this is where we wanted to be and purchased land on the outskirts of Bellville. Next came the decision; who will we hire to build our home? In our search for a custom home builder who we could work with to construct a unique quality home, we walked into Willmark's office. We were welcomed with such friendliness by John Marek and Brandt Wilke; we knew immediately they would be the builder of our dream home. We left their office feeling like we knew them all our lives. As with any project of this size, there were decisions to be made and a few issues to be resolved along the way. The project manager, Clay Elkins, was always available to ensure things went smoothly and all items were followed up on. After working with our architect on what we thought was the perfect designed home, Clay was there to refine our design by making suggestions which resulted in a more livable home that fit our lifestyle. The dedication from everyone involved in the building of our home resulted in a beautifully finished home we are proud to own and say Willmark was the builder. Willmark was always there throughout the process to guide us, help us along with choosing lighting, paint colors, plumbing fixtures and all the other choices we needed to make while staying within our budget. We wish to extend our sincere thanks to everyone at Willmark in making this experience a painless and hassle free journey. I want to thank your staff and building crew for our stunning new home! The whole process, from the planning and designing stage to the build itself, was a terrific experience. It was amazing being able to take the picture in the mind of my wife and myself and transfer it into the house that we had always dreamed about owning! The detail work and build quality, in addition to the custom design process, really sets the house that you built for us apart from the crowd. We could not be more happy with our new home, and truly appreciate all of the work that you put into our custom home building experience! "We love Willmark...from the very first meeting with Brandt Wilke and John Marek, to the completion of our beautiful home, they were excellent! Clay Elkins was awesome in making sure everything was done right and to our satisfaction! They take excellent care of their customers before, during, and after the home building process! Thank you for making our dream house a reality. You all are the best!" "We can't say enough good things about Willmark Custom Homes. The entire staff was amazing to work with and very considerate of all our new home wants and needs. If you're wanting a well-built, beautiful home look no farther. Willmark Custom Homes will make all your new home dreams a reality." "During the past two years, Willmark Homes has built two structures on the outskirts of Bellville for my family. One of the structures was a two story 4500 square home, and the other was a pool house, They did a fine job on building both structures, and since then I have recommended Willmark to two other people." "We could not be happier! Thank you Willmark Homes for turning this house into our home!" "It has been an absolute pleasure working with all of you!!! We love our new home!! Clay, Brandt and Team...thank you all...you guys are the BEST!!!" "When moving to Brenham, I was introduced to Brandt Wilke by a trade we have in common. Since then, I have happily become part of their team of trades as an interior designer for buyers who need assistance with their selections. Working with Willmark Homes has been a pleasure. They understand the needs of homeowners and know that building quality in a timely manner is key. I will continue to recommend them to locals and weekenders who want to enjoy Washington and surrounding counties." Willmark Homes is proud to present the Willmark Homes Opportunity Scholarship to five Bellville High School seniors. We are very blessed to be able to give back to our community and help local youth pursue the next step in their lives. These kids displayed outstanding academic and leadership skills and we wish them the very best in the future!